Space is vast, but the useful part of space is getting crowded. 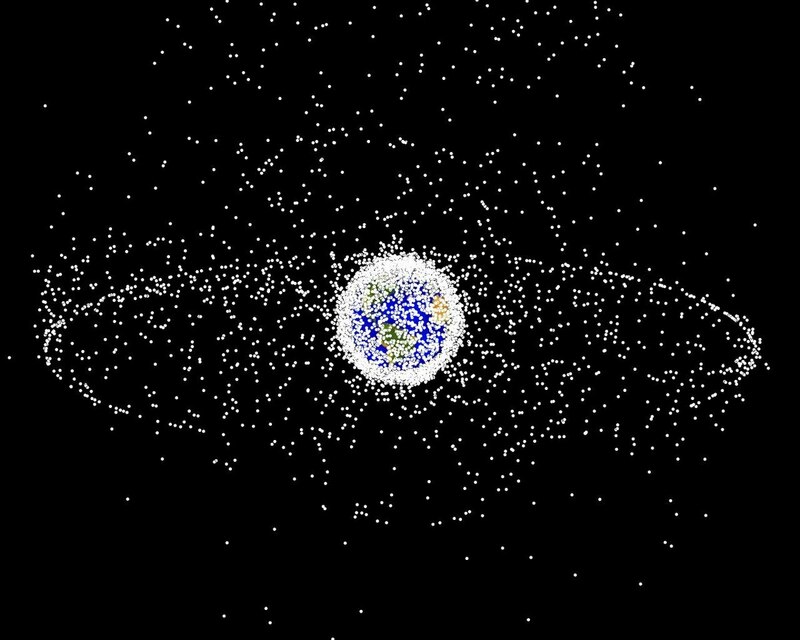 Orbital debris is a side effect of keeping satellites in space, and it’s a finicky problem. All the value in orbit is in adding new objects; the debris and leftovers and discard husks of no-longer-functioning satellites are something of an externality. To clean up orbit, researchers at Stanford’s Space Rendezvous Lab are collaborating with the European Space Agency to create a sort of robotic orbital garbageman. Key to any effort to clean up space hulks in orbit will be successful identification of the derelict objects. To that end, the Space Rendezvous Lab (SLAB) and ESA are hosting a competition for people to submit algorithms that correctly identify space junk. Without an existing catalog of debris to look at, graduate student Sumant Sharma and professor Simone D’Amico created 16,000 images to replicate the likely appearance of the space objects. The goal for the algorithms, ultimately, is be part of the test operations of the Impulse One space tow truck from Infinite Orbits, and to be part of how the swarm small satellites from NASA’s Starling mission navigate. Having the satellites learning to distinguish objects in orbit could also generate better data sets for future machine learning on earth. One consideration made by the SLAB team was to use small grayscale photos for the virtual space junk, on the assumption that the actual vehicles used to clear the junk will want to devote the smallest amount of volume possible to the camera system. Working in grayscale is one way to do that cheaply, and against the backdrop of the blue Earth below or the infinite canvas of stars in all directions, gray is likely enough. Modern developments in orbital swarms and navigation are worth watching for any future commanders or program officers tasked with operations in orbit. The physics of space, and the ease with which orbit is observed from the ground, do not lend themselves to any particular form of maneuver warfare. The limitations of cameras, the known routines of debris-clearing vehicles and the presence of an autonomous clearing system could all factor into the calculations of advantageous orbital positioning. In the meantime, the gradual developments of technologies that can clean up the debris that threatens orbit is a boon for all the other objects in space. If the cleaning can be done autonomously, all the better.